Our Brand Story: Welcome to the Shaveology Family – We are a premium American company with a mission to bring back the goodness of “old school” shaving and combine it with the swank of today’s hipster gentleman to give you a superior shave- every time. All of our Shaveology designs are patented and exclusively made from the finest materials, and then hand assembled with care and precision for superior performance and durability. Our luxury safety razors were made to enhance your gentleman lifestyle for a price your grandfather would be proud to pay. We are confident you will love your shaving experience with Shaveology and how your skin looks and feels after. Getting the smoothest shave is what our company is known for. What You’ll Get in Your Wet Shave Kit: A Luxury Chrome Micro-Comb Butterfly opening Double-Edged Safety Razor. 5 Platinum Steel Razor Blade Refills (2 Month Supply). 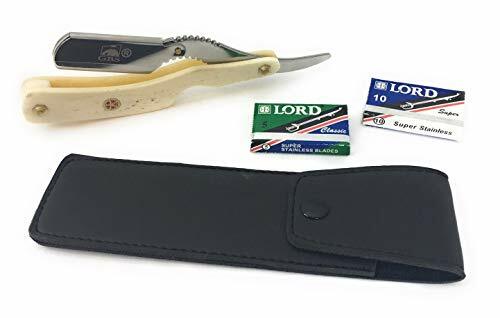 A Leather Blade Guard for Travel or Home Use. A Polishing Towel to Keep your Razor Looking New. Premium Gift Packaging Case. The razor’s handle is perfectly weighted to provide just enough pressure to allow the blade to trim your facial hair. Let your Shaveology razor do the heavy lifting. LOVE YOUR SHAVE GUARANTEE – We want you to be completely happy with your Shaveology products. If you are not totally satisfied we will refund you your money back. All razors are backed by our lifetime replacement guarantee. BUYER BEWARE – Don’t be fooled by cheap imitations. Our razors are engineered tough and made only with the Most Durable Materials on the market, they will not to Rust or Tarnish. ELIMINATES RAZOR BURN, RASHES AND INGROWN HAIRS – The Patented Micro-Comb design safely lifts and cuts facial hair at the exact right height to prevent skin irritations leaving the skin feeling great. THE PERFECT GIFTS FOR THE MEN WHO HAVE EVERYTHING – Whether it’s birthday gifts for men, presents for men or gifts for men. Our Premium Shaving Kit not only includes one of the best safety razors on the market but also comes in a stylish packaging. Every Time they shave they will think of you! Durable This set with proper care should last a long time. Beautiful Wood Scales compliments the Carbon Steel Blade Stainless Bowl and our best selling Pure badger Brush will last many years. Our 2″ Leather strop should be used right before shaving to make sure all the fingers of the carbon steel are 100% straight and ready for shaving. 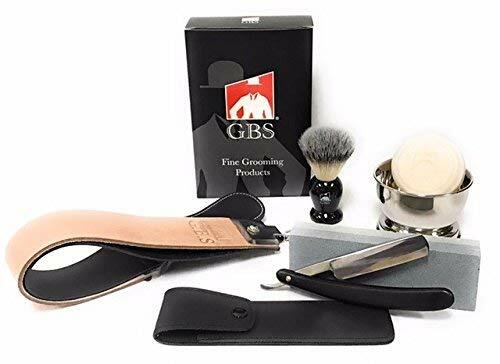 Remember all straight razors should rest between 24 and 48 hours before used again Professional Barber approved ideal for any many who wants to mix up their morning ritual Quality GBS manufactures high-end grooming tools and accessories. We proudly offer high quality craftsmanship and exquisite style at an affordable price. 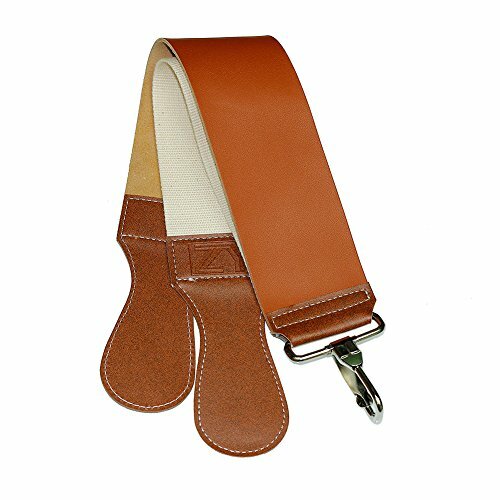 ✅STROP WITH SWIVEL CLIP: Leather 20″ strop. The tan strap is coarse to get your razor’s blade in shape, whereas the black strap helps give your razor the perfect finish. Metal swivel clip keeps strop hanging at an easy access. ✅DURABLE SHAVING BOWL & SHAVING BRUSH: Mirror-like Stainless steel bowl fits up to 4 oz of soap. Black handled Bristle Shaving Brush. NOTE: Package doesn’t have blade. Application: shaving, eyebrow shaping, barber, etc. 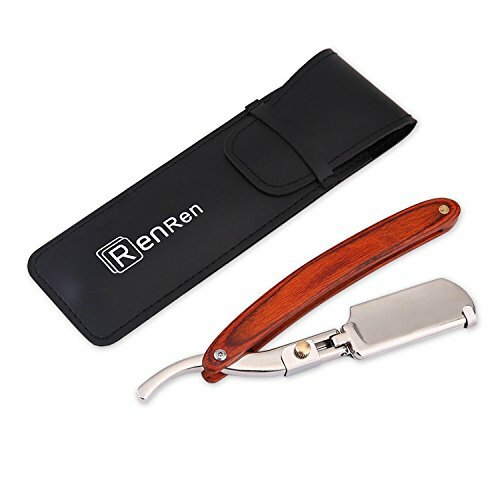 This straight razor blade holder is made of high-quality wood handle plus stainless steel blade holder. Durable and not easy to rust. Built with an easy-to-open blade guard, you can exchange razor blades safely and effortlessly. Wooden Handle Length: 13cm/5.12in; Blade Holder Length: 4.3cm/1.69in; Blade Holder Width: 2cm/0.79in; Total Length of Stainless Steel Part: 13.6cm/5.35in. Note: Package doesn’t have blade, only one blade holder storage pouch. 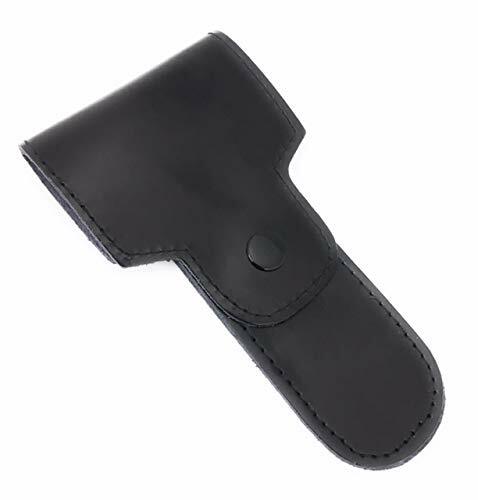 Comes with a leather pouch, suitable for placing your straight razor and carry it everywhere. Make your Grandfather Proud – This is the set that your grandfather and your father would be proud for you to own. 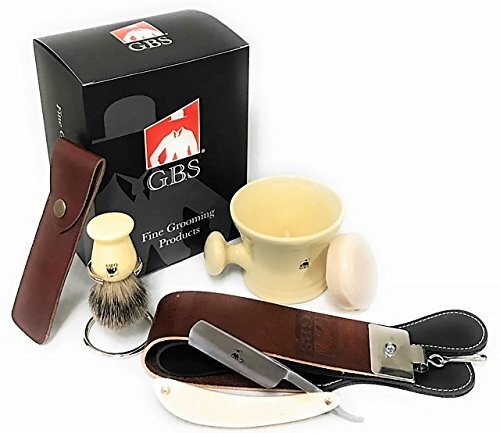 Complete set we mix the Vintage Wet Shaving whip up a lather with our Fusion GBS horn razor for a complete package. 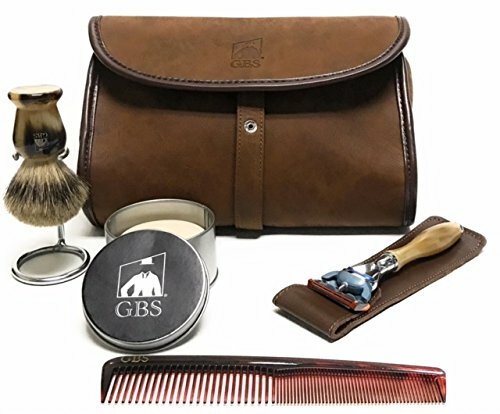 Don’t forget our deluxe bag with one large compartment for all you personal hygiene products and shaving and Beard accessories. 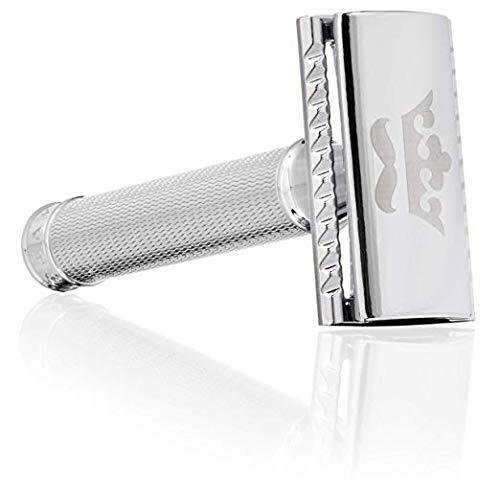 Durable – Bag double stitched made of quality materials and zippers should last long time with the proper care Our compatible fusion razor with horn handle + chrome tip elegant, ergonomic, well balanced razor. Adds a bit of sophistication to the morning ritual In my opinion the star of the set! I am bias and to be honest and feel a little disrespected that this brush does not get more accolades. Thus, like anything else I will show the respect it deservces – Resin Handles (10x) better than Plastic – Rich elegant Old School Vintage Horn handle. Absolutely beautiful masculine brush -21 mm knot of PURE Badger Bristle. No Goat, no Synthetic no fillers Just 100% badger hair. -NOT to BIG not to small perfectly size for a man’s hand. -Extra dense Knot — yes this brush will shed 25 -40 hairs for the first month or two. This is typical and normal and it’s because it’s packed in. 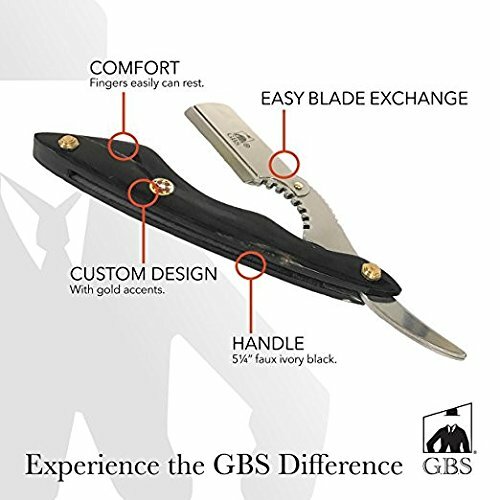 Professional Quality Choice GBS manufactures high-end grooming tools and accessories. We proudly offer high quality craftsmanship and exquisite style at an affordable price. BB-B8 MAKES GREAT GIFT FOR MEN: Ideal for any man improving his skin care. COMES IN GIFT BOX !! GENUINE – We Stand by our Products 100% because our products well made and extremely durable. 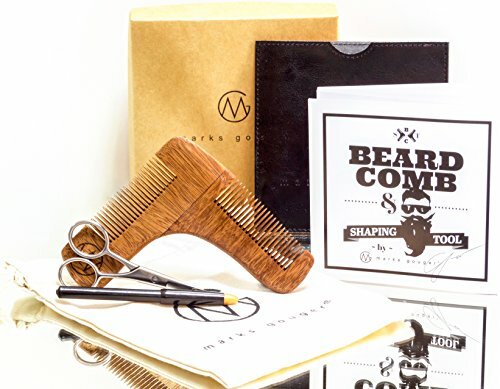 With Proper maintenance and care our grooming and beard tools should last many years PROFESSIONAL CHOICE – Our Tools are used by professionals Barbers across the USA. Barber Tested and Approved!